The biggest cause of cancer deaths in children, leukemia cancer, which is a cancer of tissues that leads to blood cell abnormality, can damage the chromosomes or genes. Leukemia affects white children whole lot more than black children. There are various types of leukemia, two of which are prevalent in children: lymphoblastic leukemia (ALL) and acute myelogenous leukemia (AML). How can you recognize if your child has leukemia? Here are the eight warning signs of child leukemia. 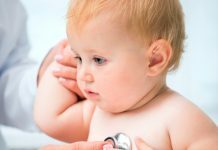 Though child leukemia can cause a high fever and cause extreme illness, it does not react to antibiotics. It is mainly caused by a lack of white blood cells, specifically mature granuloctyes. 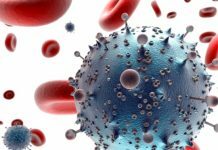 While it produces an elevated white blood cell count, these cells don’t defend against infection. The reduced production of blood platelets in child leukemia is likely to lead to bruises and there is increased bleeding from small cuts. 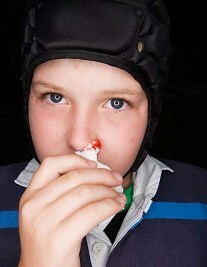 Your child may also suffer from frequent nosebleeds, and pinhead-sized red blemishes on your child’s skin can cause bleeding from small blood vessels. Most children with leukemia suffer from bone pain and some have joint pain as well. Both bone pain and joint pain are due to the deposition of leukemic cells beneath the layer of the bone surface or within the joint. Your child will also have a suppressed appetite. Child leukemia often leads to spleen and liver enlargement. Swelling of these organs can be recognized as swelling or fullness of the child’s stomach. Usually, these organs are covered by the lower ribs, but your doctor will be able to recognize the symptoms of swelling. Child leukemia can also affect the lymph nodes, and swollen lymph nodes are easily recognized near the child’s body surface. Lymph nodes within the abdomen or chest which also become swollen can only be detected by tests such as CT or MRI scan. Often, the T-cell type of ALL involves the thymus. Swelling of thymus or lymph nodes inside your child’s chest can constrict the nearby windpipe. This leads to difficulty in breathing, coughing or suffocation. Also, growth of leukemic cells can compress the superior vena cava (SVC), a big vein which carries blood from the arms and head back to the heart. Compressing the SVC can cause inflammation and bluish red staining of the arms, chest and head. Spreading of the leukemic cells outside of bone marrow is called extramedullary spread. It can spread to the central nervous system, ovaries, testicles, lungs, kidneys, heart, intestines and other organs. AML can lead to some distinctive symptoms. Leukemic cells can also extend to the gums, thus leading to pain and bleeding. When leukemia spreads to the skin, it can lead to dark colored spots. If AML is found beneath the skin or various other body parts, the condition may be called granulocytic sarcoma or chloroma. Children with AML may feel extreme fatigue, slurring of speech and weakness.